Every good security system starts with a solid door. 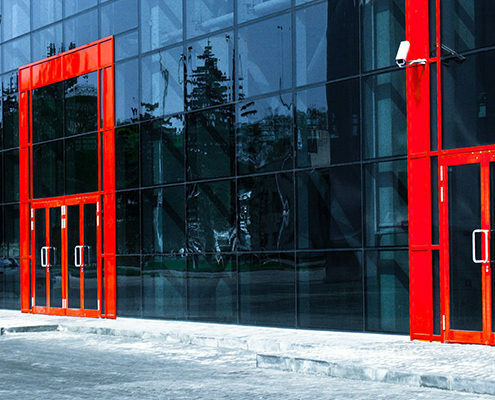 Your doors are your business’s primary mode of defense against intruders. So what do you do when your doors break down? All Kind Door Services Ltd offers fast and complete door repair services for your Calgary business. We will also handle old door removal when we install new ones. Along with door repair, we handle installation, sales, and maintenance. For complete care, we offer preventive maintenance packages to keep your doors working for years to come. We also understand door problems can happen anytime. When they do, you need them fixed fast. At All Kind Door Services Ltd, our mobile fleet provides you with 24/7 emergency service. We keep our response time low, and we can have a skilled technician onsite at any time, day or night, to repair your doors. Business owners and property managers appreciate our wide range of services and prompt attention. Over our 25 years in business, we have become a favorite service provider for many companies in the area. 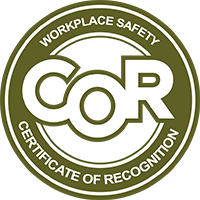 We are proud to be COR Certified. For immediate repairs on your fire, automatic, or overhead doors in Calgary, call us anytime at 403-266-1411. You can also contact us to schedule regular repairs, maintenance, or installation for both interior and exterior entryways. Our trained technicians will quickly answer your call.